Photoelectric smoke alarms are mandatory as part of the new Queensland fire safety laws. This is for good reason, listen to Queensland Fire and Emergency Services explain why. You can even choose smoke alarms where you never have to change a battery again! No waiting windows as bookings are scheduled for a specific day and time. Every Rental property in Queensland must meet new rules set down by the Government by the 31st of December 2021. There are approximately 500,000 rental properties in QLD, and with every property needing to be compliant by the deadline there is a good chance that some properties will not be ready in time. This means fines from the QFES for non compliance. 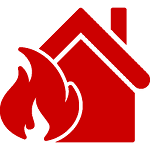 Ensure Queensland Fire Safety Compliance As A Unique Selling Proposition. Your clients can feel at ease knowing that their investment property is compliant with the Queensland fire safety legislation. 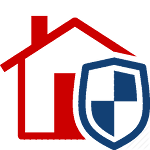 Ensure their investment is up to date with the latest fire safety standards will enable them to sell or rent their property as well as comply with their property’s insurance policy obligations. Leave the intricacies of fire safety compliance to the team with 50 years experience in the electrical services industry. Ensure that your landlords have a compliant household with smoke alarms fitted to meet Queensland fire safety legislation. Gain the trust of both your tenants and property owners with the ability to offer affordable smoke alarm and safety switch services conducted by a Master Electrician. 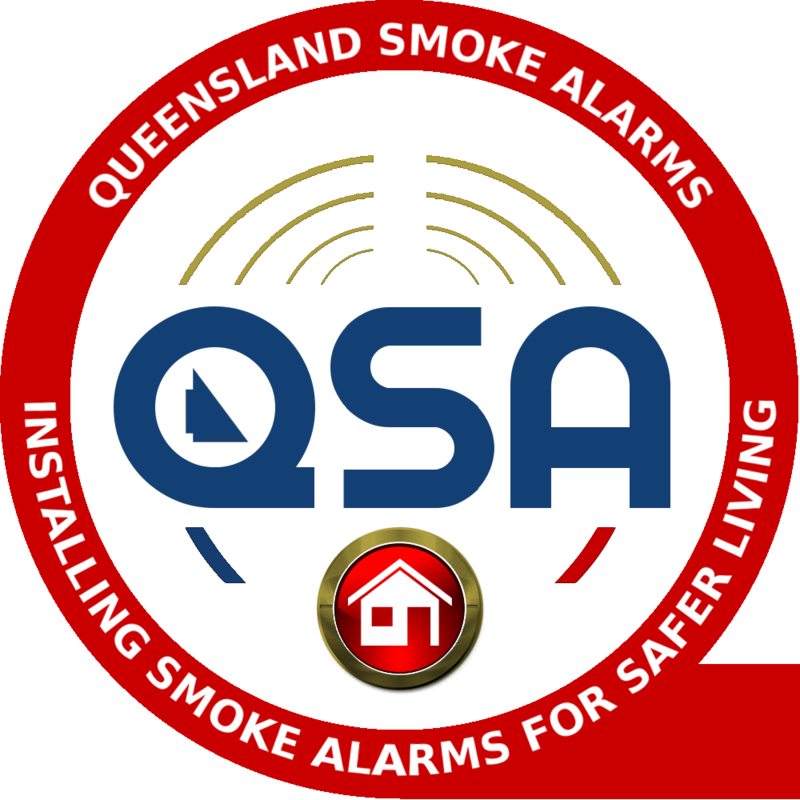 Queensland Smoke Alarms can offer retrofitted fire safety compliance and annual maintenance to relieve tenants and property owners of the hassle and risk of injury. Also, tenants will feel safer knowing that the house they live in will always remain compliant with Queensland regulations. Smoke alarms manufactured more than 10 years ago must be replaced with photoelectric smoke alarms that comply with the Australian Standards (AS) 3786-2014. Smoke alarms that do not operate when tested must be replaced immediately with a photoelectric type smoke alarm. Existing hardwired smoke alarms that need replacement, must be replaced with a hardwired photoelectric smoke alarm. Interconnected photoelectric smoke alarms are required in all new dwellings and substantially renovated dwellings (this applies to all building applications submitted from 1st January 2017). Interconnected photelectric smoke alarms are required in all domestic dwellings leased and sold. Interconnected photoelectric smoke alarms are required in all other domestic dwellings. Make sure your tenants are safe and your properties are compliant with the latest Queensland fire safety legislation. Are mandatory from 1st January 2022 for all managed domestic QLD dwellings. All smoke alarms must be photoelectric, hardwired or 10-year tamper proof battery powered and all interconnected. Beyond providing a safe environment for your tenants to live in, fire safety standards have now changed and with these changes in mind comes your responsibility to ensure your property meets these new standards. 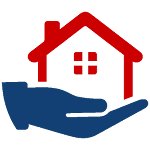 At competitive set prices we ensure your house is compliant and has the stamp of compliance approval to lease your house to Queensland families safely. We can also maintain these smoke alarms safety standards for you, so you never have to think about fire safety with your property again. You are required by law to install and maintain smoke alarms in your rental property. The minimum legal requirement for all existing dwellings is a 9-volt battery operated smoke alarm that complies with Australian Standards. A good quality non-removable 10-year battery powered smoke alarm, or a hardwired alarm, is more reliable and effective. You must test and clean each smoke alarm within 30 days before the start of a tenancy agreement. In addition, you must replace, in accordance with the manufacturer’s instructions, each battery in the smoke alarm that is flat or that you or your agent is aware is almost flat within 30 days before the start of a tenancy. Smoke alarms must be replaced 10 years after the manufacturers’ date. When notified by a tenant that a smoke alarm is not operating, you are required to replace that smoke alarm with a photoelectric type that complies with AS3786-2014. Have your home meet the safest fire safety standards in Australia. Your family is worth it. IS YOUR HOME READY FOR THE SAFE EVACUATION OF LOVED ONES? A fire escape route should also be discussed with all members of the household. A smoke alarm will alert you of a fire, but what you do next is a matter of life and death. Smoke alarms are required to be installed in each bedroom and every connecting hallway of each level of your rental property by no later than 1/1/2022. As a tenant in Queensland, you have responsibilities with regards to the maintenance of the smoke alarms in your property. 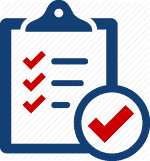 A tenant must not remove a smoke alarm, remove the battery (other than to replace it), or do anything to reduce the effectiveness of the alarm (e.g. paint over it). Fire Safety is at the centre of our culture and aligns heavily with our mission. 78% of Deaths occur between Midnight & 8.00 am (Smoke Inhalation – Sleeping). Within 5 years, 2 People died in Queensland unnecessarily. A simple safety switch installed on the circuit in their home that killed them would have prevented their deaths. 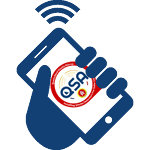 Queensland Smoke Alarms ultimately delivers imperative services to prevent and mitigate the frequency and impact of fire incidents and works in partnership with Property Owners and Managers to enhance the safety of communities. The heart of our operational success is the strength of our cultures, values and alignment to mission. Safety and compliance is aligned to these values and espoused in everything we do and in every conversation. The nature of our role is to prevent household fires from eventuating. We strive to maintain public safety by ensuring that your standard of workmanship is beyond reproach with all work complying with the Australian Standards and statutory legislation and provide a minimum 12 months workmanship guarantee. We also promise to provide a punctual service to property owners and managers and provide a high level of communication with regards to site attendance and leave any dwelling as we found it, in a clean, tidy, and safe condition. Interconnected photoelectric smoke alarms are required in all new dwellings and substantially renovated dwellings (this applies to building applications submitted from 1 January 2017). Interconnected photoelectric smoke alarms are required in all domestic dwellings leased and sold. Our mission is to protect the lives of Queensland residents, by upgrading existing smoke alarm systems to unified systems that rapidly alert occupants to the early stage of a potential fire in their home and to protect them from electrocution by testing and installing electrical safety switches. Queensland Smoke Alarms was born after legislation was passed to ensure that people had adequate and effective Smoke Alarm Systems installed in their homes to prevent tragedies such as the one in Slacks Creek, Queensland in 2011 where 11 people lost their lives and the Golinski house fire on the Sunshine Coast where 4 people lost their lives on Boxing Day 2011. All Queensland dwellings will be required to become compliant with the Amendment Act 2016 (Qld) Fire and Emergency Services (Domestic Smoke Alarms) which commenced on 1 January, 2017. 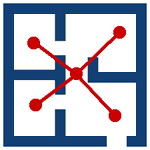 This Amendment imposes additional obligations on property owners/managers with regards to the installation and maintenance of smoke alarms at domestic dwellings and requires all smoke alarms to be of the Photoelectric type, be less than 10 years old, be interconnected with every smoke alarm in the dwelling so that they all activate together and be either hardwired or powered by a non-removable 10-year battery. Smoke Alarms must now be installed in each bedroom and in hallways which connect bedrooms and the rest of the dwelling; or if there is no hallway, between the bedrooms and other parts of the storey; and if there are no bedrooms on a storey, at least one smoke alarm must be installed in the most likely path of travel to exit the dwelling. Rental and sale properties must have RCDs installed on power circuits Installing safety switches is easy and inexpensive, considering the protection they provide. 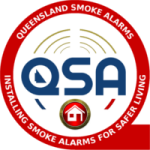 Queensland Smoke Alarms technicians are all experienced and Accredited Master Electricians and the 2 directors have over 50 years’ experience between them working “hands on” in the Electrical Industry. Our team of Master Electricians have been delivering Brisbane Residents a myriad of electrical safety services over the past 25 years and we have been recognised by the community as a finalist in Brisbane’s “Tradie of the Year”. We Install and Supply hard wired and photoelectric smoke alarms powered by non-removable 10-year batteries that comply with Australian Standard (AS) 3786-2014 and test and install electrical safety switches.